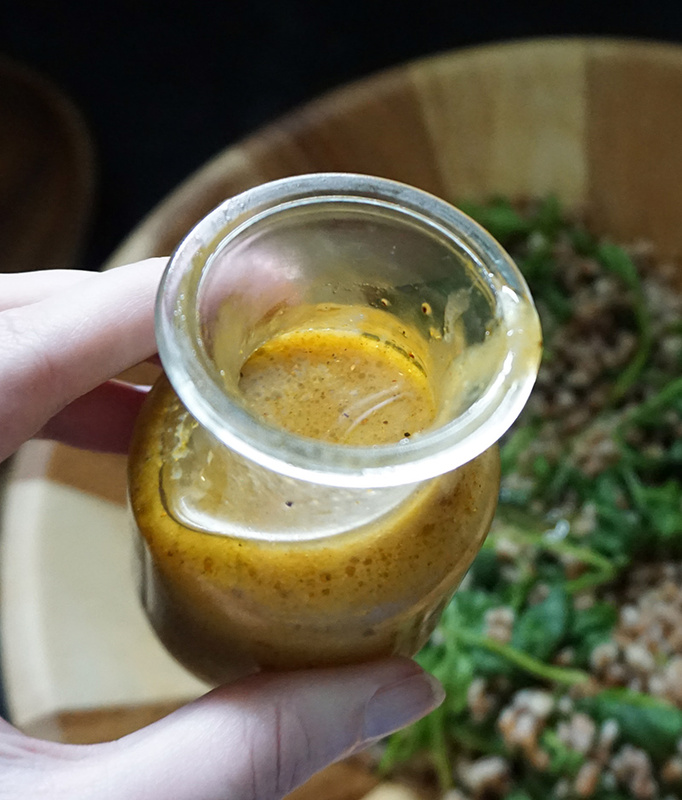 I originally wasn’t going to pull this maple curry vinaigrette recipe out into its own post (since it’s being featured in another recipe later this week), but it turned out so yummy that I didn’t want it to be singled out as a one-trick dressing pony. 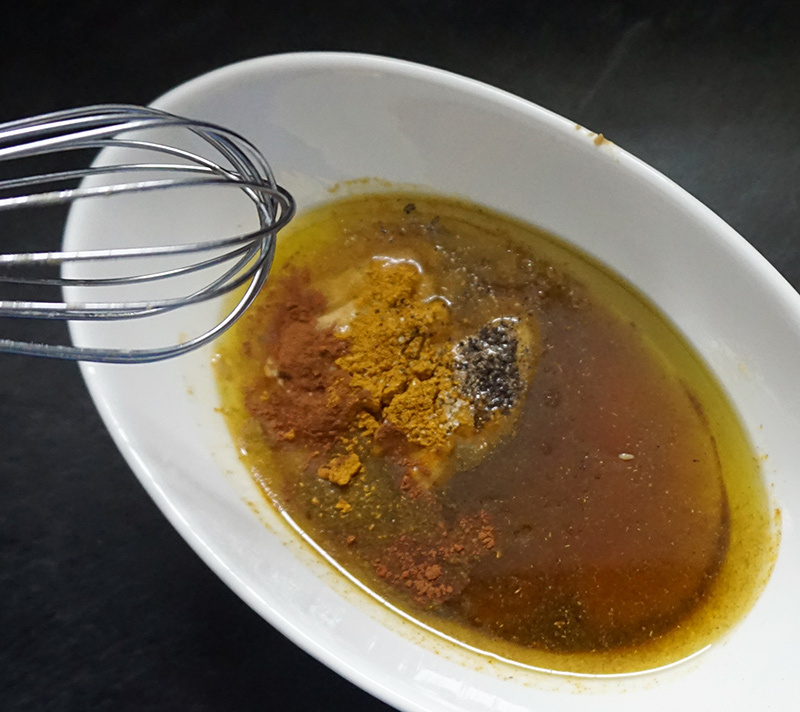 This bad boy is good for anything: salads, sandwich dressings, over grilled chicken or tofu, over noodles… straight off the spoon. You get it. 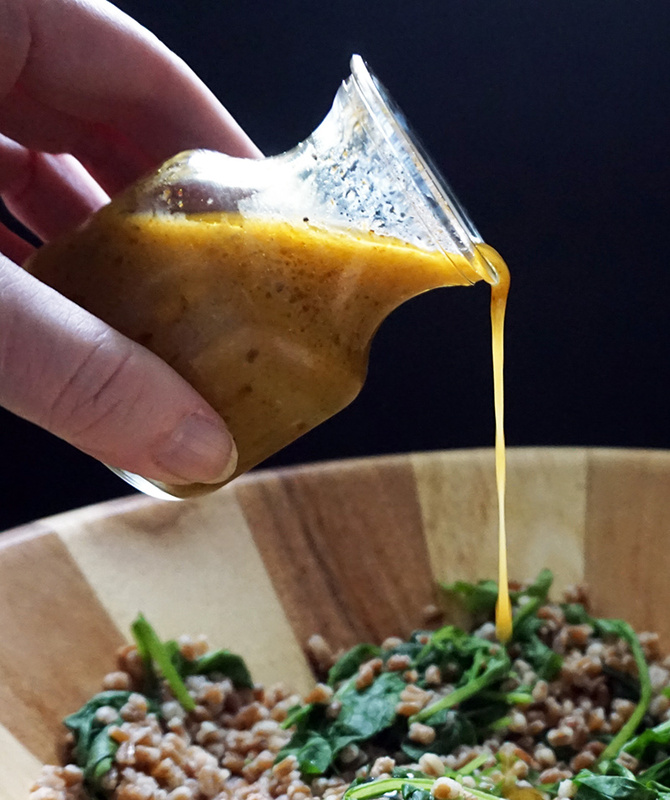 It’s tart, it’s slightly sweet, and super savory with hints of maple, mustard, and curry. None of it is overwhelming, and it’s one of my new favorite dressings. 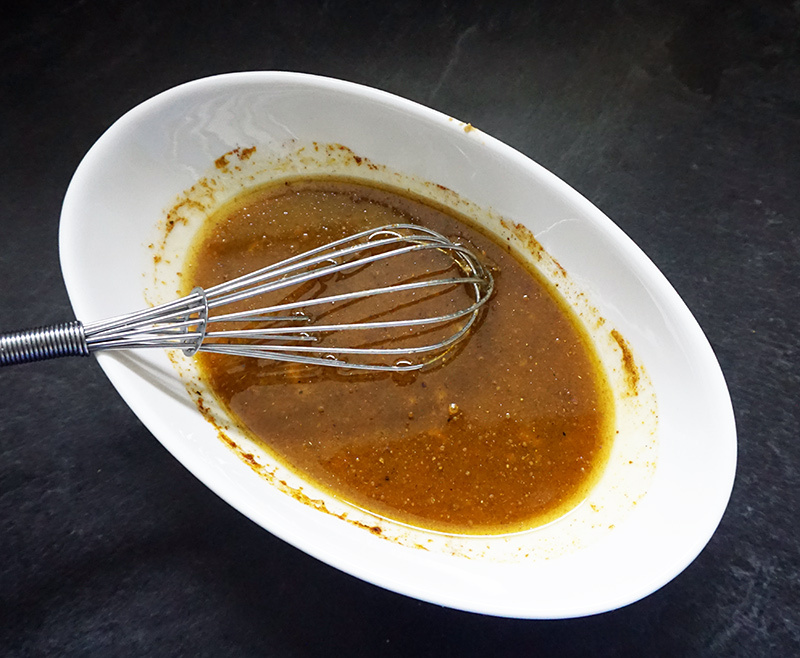 As with most vinaigrettes, it only takes a few hot minutes to make a big batch to be used throughout the week. 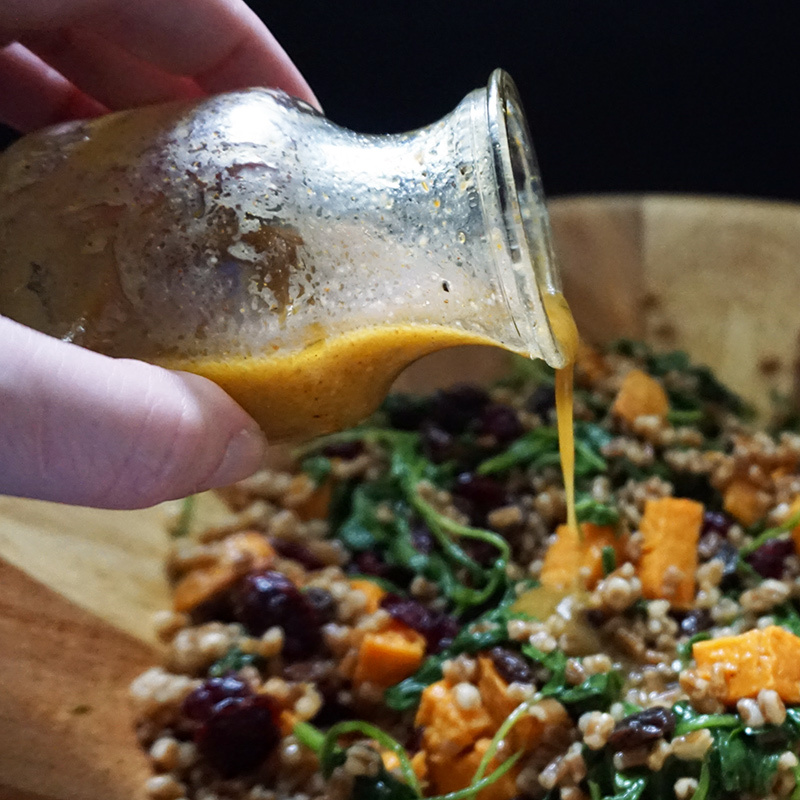 For me, homemade vinaigrettes are almost always tastier and definitely cheaper than store-bought dressings. Win-win! 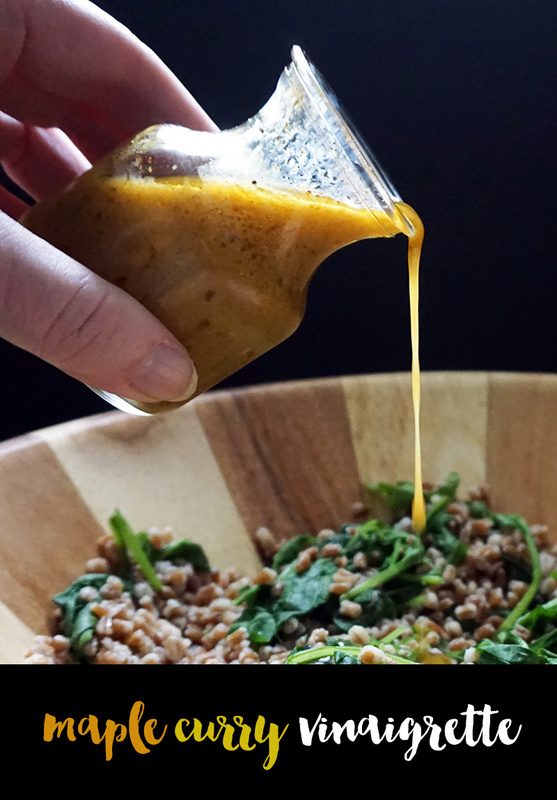 The only caveat is that, since there are no preservatives in your homemade version, it won’t stay fresh quite as long as other dressings. 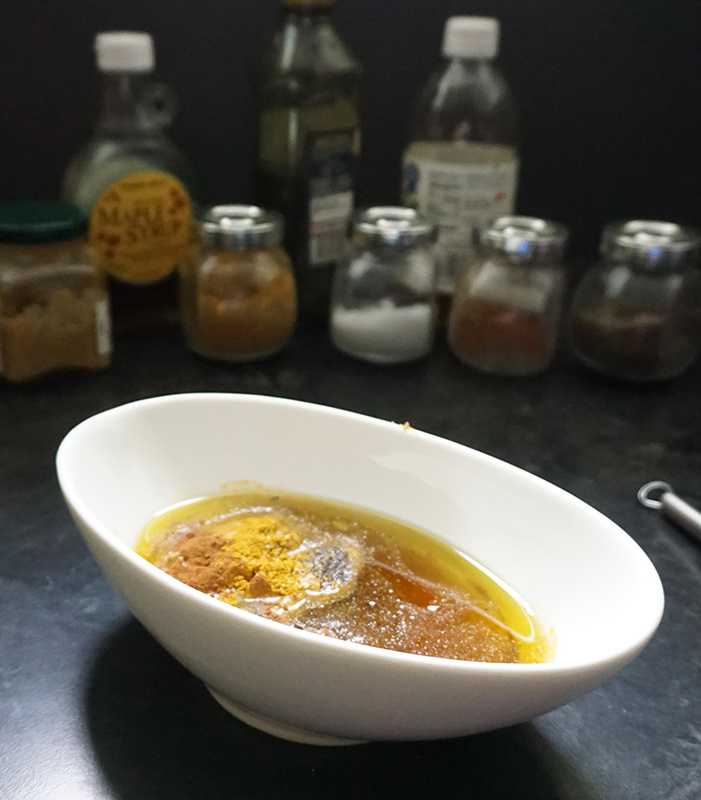 If you’re looking for similar small glass jars to store your maple curry vinaigrette, these are pretty similar. Otherwise, I’d totally go with a larger, re-sealable storage jar like this one. 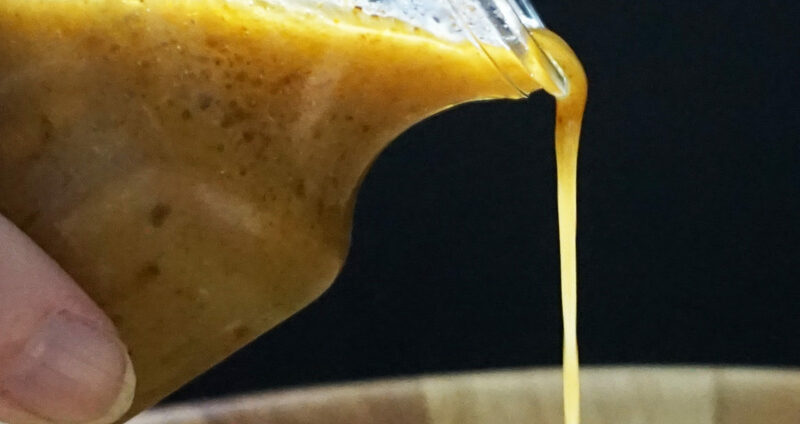 It’ll allow you to make larger batches and store them safely in the refrigerator longer. I haven’t ‘bought’ salad dressing in over 6 years. 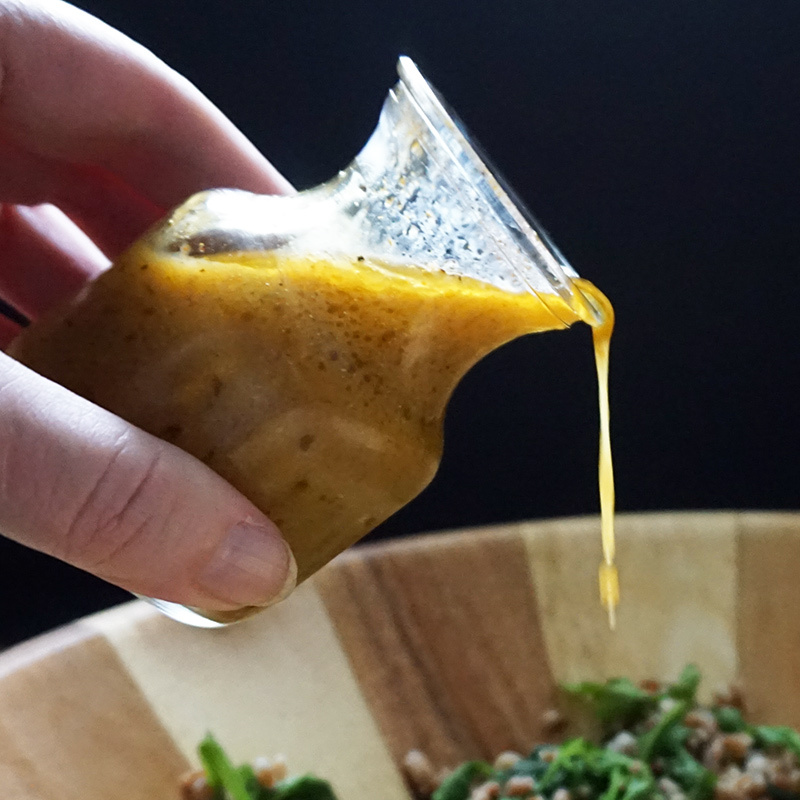 Your Maple Curry Vinaigrette is my favorite I always make a double batch. I mainly use it for green salads, it works for any green salad as long as you add golden raisins. I also use it with steamed greenbeans with red bell pepper and onions as warm salad.